Need a quick activity for your Orientation Morning / Transition Morning / Up Morning / Moving Up Morning? Look no further. 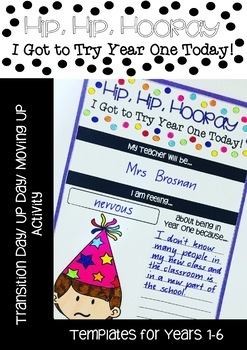 Hip Hip Hooray I Got to Try Year x Today is a quick activity to introduce yourself as teacher and capture your student's feelings to the move up. Featuring templates for Years 1-6 with boy and girl faces.